Nature's Window Cardinal Mix. This species-specific blend is formulated to bring the birds you want to your yard. 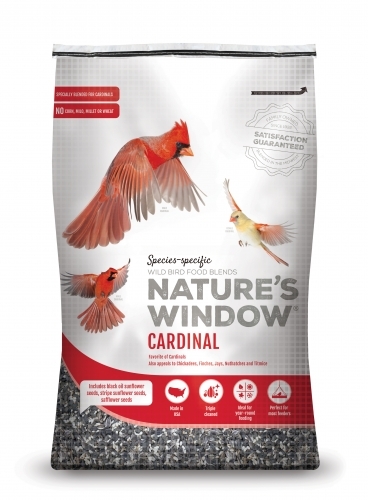 Cardinal Mix is specially designed for several beautiful species of birds. Contains: black oil sunflower, stripe sunflower, safflower seed.